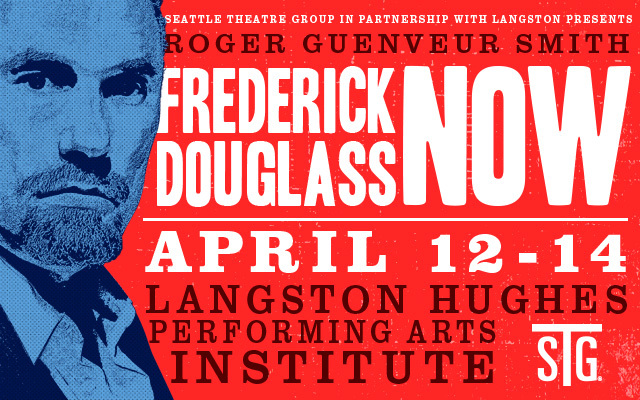 STG Presents Roger Guenveur Smith – Frederick Douglass Now at Langston Hughes Performing Arts Institute April 12-14, 2019. Presented in partnership with LANGSTON. The Roger Guenveur Smith performances originally scheduled for February 8 – 10, 2019 at Langston Hughes Performing Arts Institute have been rescheduled. Tickets for the February 8th show will now be valid for Friday, April 12, 2019 at 7:30 pm. Tickets for the February 9th show will now be valid for Saturday, April 13, 2019 at 7:30 pm. Tickets for the February 10th show will now be valid for Sunday, April 14, 2019 at 2:00 pm. Refunds for the performance can be made at the original point of purchase. Any questions about refunds can be directed to Ticketmaster fan support at 1-800-653-8000 or the Paramount Theatre Box Office at 206-682-1414.